Get chilled to the bones with the upcoming film series that explores dark and macabre themes as well as the mysterious occult. The first part of the series features three films by cult favorite Shinya Tsukamoto, who was in Toronto earlier last month for the premier of his film KILLING. Some viewers may find the films disturbing. Viewer discretion is advised. 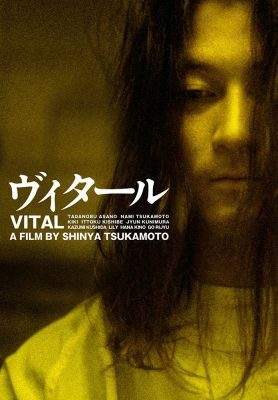 Hiroshi (Asano Tadanobu) is involved in a car accident that causes him to lose his memory, and develops an obsessive interest in medical books. He subsequently enrolls in medical school and in a dissection class, his group is assigned the body of a young woman. Hiroshi becomes immersed in anatomizing her, and begins to see otherworldly dreams that are inhabited by a woman named Ryoko (Tsukamoto Nami). A fellow classmate, Ikumi (KIKI), is drawn to his intense ways and she pursues him with fevered fascination. Eventually, Hiroshi asks his teacher (Kishibe Ittoku) to let him examine the cadaver on his own and as he pays loving attention to every millimeter of flesh, the distinction between real and hallucinatory worlds becomes increasingly blurred. Then he discovers a tattoo on the corpse’s arm and recognizes it as belonging to the woman from his dreams who is actually the girlfriend he lost in the accident. He gradually regains his grasp on reality, completes the dissection and carefully lays her body to rest. This corporeal love story from virtuoso filmmaker Tsukamoto Shinya (Tetsuo The Iron Man, A Snake of June) was given a 10-minute standing ovation at the Berlin International Film Festival.